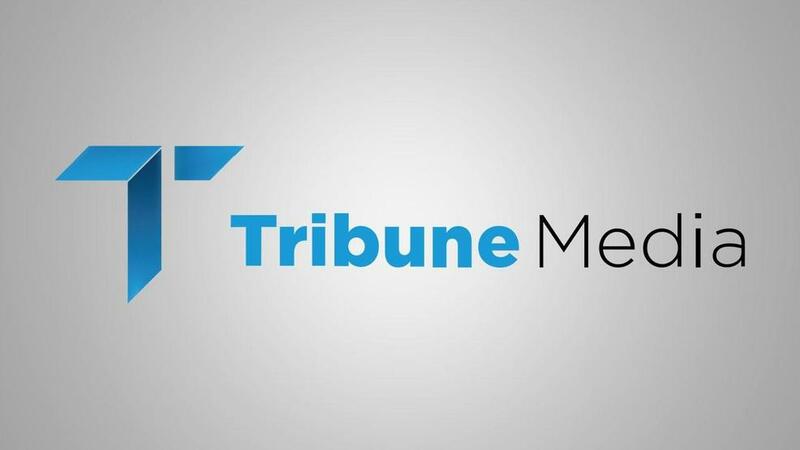 Nexstar Media Group (NXST) and Tribune Media Company (TRCO) announced that Nexstar has entered into definitive agreements to sell a total of nineteen stations in fifteen markets for an aggregate $1.32B in cash following the acquisition of Tribune Media by Nexstar. Under the terms of the agreements, TEGNA Inc. (TGNA) will acquire eleven stations in eight markets for $740M and The E.W. Scripps Company (SSP) will acquire eight stations in seven markets for $580M. Separately, Nexstar remains engaged in active negotiations to divest two stations in Indianapolis, Indiana. On December 3, 2018, Nexstar and Tribune Media entered into a definitive merger agreement whereby Nexstar will acquire all outstanding shares of Tribune Media. The planned divestiture of nineteen stations reflects Nexstar’s stated intention to divest certain television stations in order to comply with the FCC local and national television ownership rules and to obtain FCC and Department of Justice approval of the proposed Nexstar / Tribune Media transaction. Nexstar intends to use the net proceeds from the divestitures to fund the Tribune acquisition and to reduce debt. Given that the net proceeds from the divestitures exceed those initially estimated at the time the transaction was announced, Nexstar now estimates that net leverage at the closing of the transaction will be reduced to approximately 5.1x. The planned divestiture of the nineteen stations is subject to FCC approval, other regulatory approvals, the closing of the Nexstar / Tribune Media transaction and other customary closing conditions and is expected to be completed on, or about the time of, the closing of the Nexstar / Tribune Media transaction, which is expected later this year. Zosano Pharma (ZSAN) announced earlier today the completion of the second and final goal of the long-term safety study for Qtrypta, in which patients treated migraine attacks over a one year period. “The long-term data generated in this trial reinforced the well-tolerated safety profile and strong efficacy results previously reported in the six-month dosing portion of this safety study and in the randomized Phase 2/3 ZOTRIP pivotal study,” the company said in a statement. Throughout the clinical program, over 5,800 migraine attacks have been treated with Qtrypta to date, it added. The Qtrypta long-term safety trial is an open-label study evaluating the safety of the 3.8 mg dose of intracutaneous zolmitriptan in adults with migraine who have historically experienced at least two migraine attacks per month. The study evaluated over 150 adults with migraine disease for six months, and more than 50 patients for a year at 31 sites in the U.S.
Of more than 5,800 migraines treated, investigators reported 832 adverse events, of which 298 were reported as application site reactions and 161 were reported as triptan related adverse events. Observational efficacy parameters continued to demonstrate a rate of pain freedom at two hours following patch application of approximately 44% and most bothersome symptom freedom of approximately 68%, while pain relief at two hours was reported at 81% of migraine attacks treated, said Zosano. The company expects to file an New Drug Application for Qtrypta in the fourth quarter of 2019. ZSAN is up 95% to $4.41. 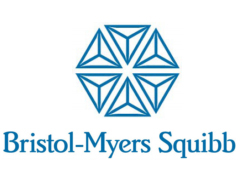 Merck (MRK) announced presentation of the full results from the pivotal Phase 3 KEYNOTE-426 trial investigating KEYTRUDA, Merck’s anti-PD-1 therapy, in combination with Pfizer’s (PFE) Inlyta, a tyrosine kinase inhibitor, for the first-line treatment of advanced renal cell carcinoma at the 2019 Genitourinary Cancers Symposium. This is the first combination regimen to significantly improve overall survival, progression-free survival and objective response rate compared to sunitinib. Results were consistent across all IMDC subgroups, including favorable, intermediate and poor risk groups, and regardless of PD-L1 expression. As previously announced, the U.S. Food and Drug Administration has granted priority review for a supplemental Biologics License Application for #KEYTRUDA in combination with axitinib for the first-line treatment of patients with advanced RCC based on the results of KEYNOTE-426, and has set a Prescription Drug User Fee Act, or target action, date of June 20, 2019. Findings from the first interim analysis showed KEYTRUDA in combination with axitinib reduced the risk of death by 47% – significantly improving OS compared to sunitinib. For the dual primary endpoint of PFS, the KEYTRUDA combination showed a reduction in the risk of progression of disease or death of 31% compared to sunitinib. In the study, the ORR was 59.3% for patients who received KEYTRUDA in combination with axitinib and 35.7% for those who received sunitinib, with a complete response rate of 5.8% and 1.9% and a partial response rate of 53.5% and 33.8%, for patients receiving the KEYTRUDA combination or sunitinib, respectively. Median duration of response was not reached in the KEYTRUDA combination arm and was 15.2 months in the sunitinib arm. The results for OS, PFS and ORR were consistent across all IMDC risk groups and seen regardless of PD-L1 expression. The observed adverse event profile was as expected based on the known profiles of KEYTRUDA and axitinib. There was a higher incidence of grade 3 or 4 liver enzyme elevation with KEYTRUDA plus axitinib than previously observed with each agent as monotherapy. Merck has filed these data with regulatory authorities worldwide. Merck has an extensive clinical development program in RCC and is advancing multiple potential registration-enabling studies with KEYTRUDA, as monotherapy and in combination with other treatments, including KEYNOTE-564 and KEYNOTE-581. Twenty-First Century Fox (FOXA) announced that it has entered into an amended and restated merger agreement with Walt Disney (DIS) pursuant to which Disney has agreed to acquire for a price of $38 per 21CF share the same businesses Disney agreed to acquire under the previously announced merger agreement between 21CF and Disney. This price represents a “significant increase” over the purchase price of approximately $28 per share included in the Disney merger agreement when it was announced in December 2017. The amended and restated Disney merger agreement offers a package of consideration, flexibility and deal certainty enhancements that is superior to the proposal made by the Comcast Corporation (CMCSA) on June 13, Fox stated. Under the amended and restated Disney merger agreement, Disney would acquire those businesses on substantially the same terms, except that, among other things, Disney’s offer allows 21CF stockholders to elect to receive their consideration, on a value equalized basis, in the form of cash or stock, subject to 50/50 proration. The collar on the stock consideration will ensure that 21st Century Fox shareholders will receive a number of Disney shares equal to $38 in value if the average Disney stock price at closing is between $93.53 and $114.32. In light of the revised terms contained in the amended and restated Disney Merger Agreement, 21CF’s board, after consultation with its outside legal counsel and financial advisors, has not concluded that the unsolicited proposal it received on June 13, 2018 from Comcast could reasonably be expected to result in a “Company Superior Proposal” under the Disney merger agreement. However, the amended and restated Disney merger agreement contains no changes to the provisions relating to the company’s directors’ ability to evaluate a competing proposal. As announced on May 30, 2018, 21CF has established a record date of May 29, 2018 and a meeting date of July 10, 2018, for a special meeting of its stockholders to, among other things, consider and vote on a proposal to adopt the Disney merger agreement. 21CF has determined to postpone its special meeting of stockholders to a future date in order to provide stockholders the opportunity to evaluate the terms of Disney’s revised proposal and other developments to date. Once 21CF determines the new date for 21CF’s special meeting of stockholders, the date will be communicated to 21CF stockholders. BAE Systems (BAESY) has received a contract to produce payload tubes for two of the U.S. Navy’s new Virginia-class submarines to support increased firepower on the Block V version of the attack subs. Under the contract with General Dynamics Electric Boat, a builder of the Virginia class, BAE Systems will deliver two sets, each consisting of four tubes, for the Virginia Payload Modules on the SSN 804 and SSN 805. The Virginia Payload Module extends the length of the Block V submarines over previous versions of the Virginia-class by adding an additional mid-body section to create more payload space for greater firepower. Each large-diameter payload tube can store and launch up to seven Tomahawk cruise missiles. The VPM offers exceptional flexibility as well for the integration of future payload types, such as unmanned systems or next-generation weapons. BAE Systems, which is also providing payload tubes for the SSN 803 under a previously awarded VPM contract, has a long history of supporting the Navy’s submarine fleet as the leading provider of propulsors and other submarine systems. The company was selected to provide propulsors, spare hardware, and tailcones for Block IV Virginia-class vessels and stands ready to provide the same support for the Block V subs. Under this most recent contract, BAE Systems will also develop the processes and tooling necessary for the Block V payload tube production. Work will be performed at the company’s facility in Louisville, Kentucky, with deliveries scheduled to begin in 2020. AbbVie (ABBV) announced that it has commenced a modified “Dutch auction” tender offer to purchase for cash up to $7.5 B of its common stock at a price not less than $99.00 per share and not more than $114.00 per share. AbbVie stockholders may tender all or a portion of their shares at a price specified by the tendering stockholder within this range. When the tender offer expires, AbbVie will determine the lowest price within the range of prices specified above that allows AbbVie to purchase up to an aggregate of $7.5B of its common stock. The tender offer and withdrawal rights will expire at midnight Eastern Time, at the end of the day on May 29, 2018, unless extended or terminated by AbbVie. Tenders of shares must be made prior to the expiration of the tender offer and may be withdrawn at any time prior to the expiration of the tender offer. Morgan Stanley & Co. is acting as dealer manager, and Wachtell, Lipton, Rosen & Katz is acting as legal advisor. ABBV closed at $96.55. 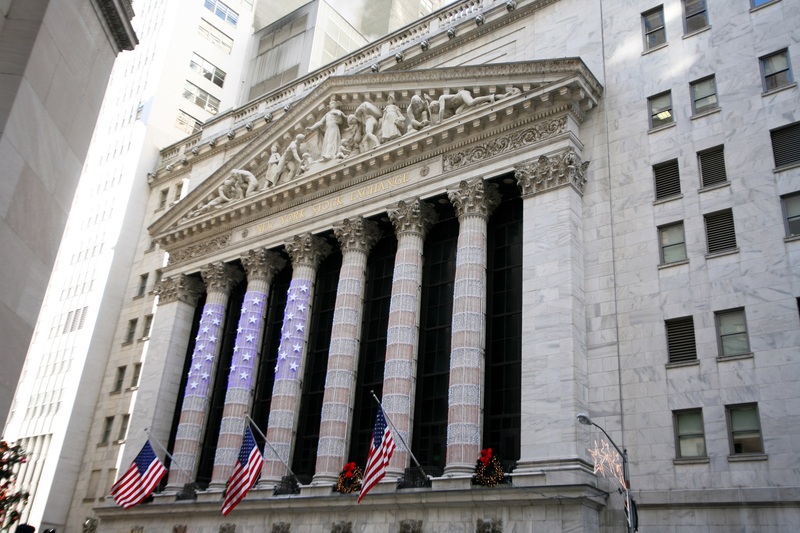 Shares have a 52-week trading range of $64.61 – $125.86. AstraZeneca (AZN) announced the FDA has approved BYDUREON for injectable suspension as an add-on therapy to basal insulin in adults with type 2 diabetes with inadequate glycemic control. BYDUREON is approved for adults with T2D whose blood sugar remains uncontrolled on one or more antidiabetic medicines in addition to diet and exercise, to improve glycemic control. The expanded use is based on results from the 28-week DURATION-7 study, which examined the effect of BYDUREON or placebo as add-on therapy to insulin glargine, with or without metformin, in adults with T2D. Mean HbA1c was reduced by 0.9% in the BYDUREON group compared to 0.2% in the placebo group in patients with a mean baseline HbA1c of 8.5%. Furthermore, 32.5% of patients in the BYDUREON group reached an HbA1c of less than 7.0% compared to 7.0% of patients in the placebo group. There were no new safety findings in the DURATION-7 study. Overall hypoglycemia was similar between the groups, with no reported major hypoglycemia. In both arms, the same percentage of patients reported minor hypoglycemia. Like other GLP-1 receptor agonists, the risk of hypoglycemia is increased when BYDUREON is co-administered with insulin. Prescribers should consider lowering the dose of insulin when co-administering BYDUREON. Shares of Amazon (AMZN) are slipping this morning after Axios reported that President Donald Trump may want to go after the e-commerce giant rather than Facebook (FB) and has discussed changing the former’s tax treatment. According to a report by Axios, President Trump wants to go after tech giant Amazon rather than Facebook and has discussed changing the company’s tax treatment due to concerns about small retailers being put out of business. Citing five sources familiar with the matter, the publication added that Trump has wondered if there is any way to go after Amazon with antitrust or competition law as he thinks the e-commerce giant has gotten a free ride from taxpayers and the Postal service and agrees the company is killing shopping malls and brick-and-mortar retailers. Nonetheless, the same Axios’ article pointed out that Vice-President Mike Pence is concerned about Facebook and Google (GOOG; GOOGL). While Pence is not yet pushing internally for any specific regulations, he views these companies as dangerously powerful and worries about their influence on media coverage as well as their control of the advertising industry and users’ personal info, a source told the publication. “We’ve heard loud and clear that privacy settings and other important tools are too hard to find and that we must do more to keep people informed. […] We’ve redesigned our entire settings menu on mobile devices from top to bottom to make things easier to find. […] We’re introducing Access Your Information – a secure way for people to access and manage their information, such as posts, reactions, comments, and things you’ve searched for. In Wednesday’s trading, shares of Amazon have dropped nearly 5% to $1,426, while Facebook’s stock has gained over 1% to $153.99. Shares of video game makers are in focus after Piper Jaffray noted that while so-called “battle royale” style games such as “Fortnite” and “PlayerUnkonwn’s Battlegrounds,” or “PUBG,” are drawing a great deal of player engagement now, bigger publishers will catch up quickly to the trend. In a research note to investors, Piper Jaffray analyst Michael J. Olson said Epic Games’ “Fortnite” and PUBG Corporation’s “PUBG” may have some short-term impact on time/wallet share for the major game publishers, but he expects this impact to be temporary as these publishers incorporate similar battle royale modes into existing titles. Olson said that the “mode,” not the game, has attracted users to “Fortnite” and “PUBG,” and therefore he expects major publishers to win back engagement as this style of play is included in their games. The analyst noted that these battle royale games are most likely to steal time/wallet from other shooter titles, and as such, Activision Blizzard (ATVI) may have the most overlap, followed by EA (EA) and then Take-Two (TTWO). 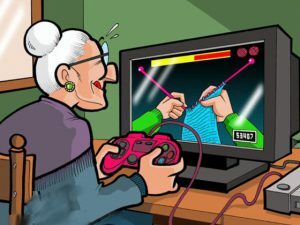 The analyst maintained an Overweight rating on Activistion, EA, Take-Two and Zynga (ZNGA). Meanwhile, mobile versions of “Fortnite” and “PlayerUnknown’s Battlegrounds” have launched this week. Currently, both are the most downloaded games on the iOS (AAPL) App Store. Yesterday, Jefferies analyst Timothy O’Shea maintained a Buy rating on Activision Blizzard, saying he sees a buying opportunity with the shares pulling back over the past week. The analyst attributed the selloff to fears that “Fortnite” could siphon engagement and monetization away from games like “Call of Duty,” potentially pressuring near-term results. O’Shea said that while channel checks indicate “Fortnite” is in fact pulling some engagement away from Activision, the monetization fears are overblown. The FDA issued an advance notice of proposed rulemaking, or ANPRM, to explore a product standard to lower nicotine in cigarettes to minimally or non-addictive levels. 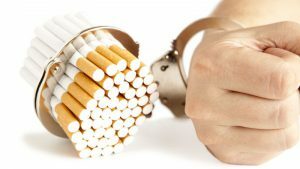 “This new regulatory step advances a comprehensive policy framework that we believe could help avoid millions of tobacco-related deaths across the country,” Gottlieb said. The ANPRM provides a “wide-ranging review of the current scientific understanding about the role nicotine plays in creating or sustaining addiction to cigarettes and seeks comments on key areas, as well as additional research and data for public review, as we continue our consideration of developing a nicotine product standard,” he added. He went on, “We believe the public health benefits and the potential to save millions of lives, both in the near and long term, support this effort. Notably, new estimates included in the ANPRM that are being published in the New England Journal of Medicine evaluate one possible policy scenario for a nicotine product standard. Publicly traded companies in the space include Altria Group (MO), British American Tobacco (BTI) and Philip Morris (PM). A beneficiary could be 22nd Century Group (XXII). The latter has a patent on a modified tobacco plant with 95% less nicotine than ordinary tobacco plants. Lumentum Holdings (LITE) and Oclaro (OCLR) announced that the two companies have signed a definitive agreement, unanimously approved by the boards of both companies, pursuant to which Lumentum will acquire all of the outstanding common stock of Oclaro. For each share of Oclaro stock held, Oclaro stockholders will be entitled to receive $5.60 in cash and 0.0636 of a share of Lumentum common stock, subject to the terms of the definitive agreement. The transaction values Oclaro at $9.99 per share or approximately $1.8B in equity value, based on the closing price of Lumentum’s stock on March 9, of $68.98. The transaction value represents a premium of 27% to Oclaro’s closing price on March 9 and a premium of 40% to Oclaro’s 30 day average closing price. Oclaro stockholders are expected to own approximately 16% of the combined company at closing. 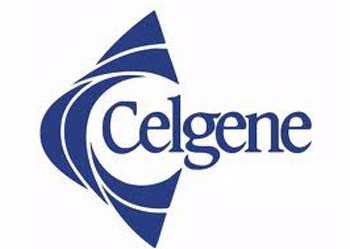 The transaction is expected to generate more than $60M of annual run-rate synergies within 12 to 24 months of the closing and be immediately accretive to non-GAAP earnings per share. Lumentum intends to fund the cash consideration with a combination of cash on hand from the combined companies’ balance sheets and $550M in debt financing. The transaction is expected to close in the second half of calendar 2018, subject to approval by Oclaro’s stockholders, antitrust regulatory approval in the U.S. and China, and other customary closing conditions. CVB Financial, Community Bank to merge. CVB Financial (CVBF) and Community Bank announced that they have entered into an agreement and plan of reorganization and merger, pursuant to which Community will merge with and into Citizens in a stock and cash transaction valued at approximately $878.3M, based on CVBF’s closing stock price of $23.37 on February 23, 2018. The merger will increase Citizens’ total assets to approximately $12B on a pro forma basis as of December 31, 2017. CVBF expects the merger to result in approximately 12% earnings per share accretion in 2019, excluding one-time transaction costs. CVBF anticipates the merger to be approximately 11% dilutive to tangible book value per share at closing with an earn back period of approximately 4.9 years and an internal rate of return of greater than 15%. Additionally, at closing, Marshall V. Laitsch, Chairman of the Board of Community, will join the Board of CVBF. Community Bank, headquartered in Pasadena, California, had approximately $3.7B in total assets, $2.7B in gross loans and $2.9B in total deposits as of December 31, 2017. Community has sixteen branch locations throughout the greater Los Angeles and Orange County areas. Pursuant to the Agreement, each share of Community common stock, including unvested restricted stock units, will receive a fixed consideration consisting of 9.4595 shares of CVBF common stock and $56.00 per share in cash. CVBF will pay aggregate consideration of approximately 30.0 million shares of CVBF common stock and $177.5M in cash, subject to purchase price adjustment provisions and other terms set forth in the Agreement. Giving effect to the merger, Community shareholders would hold, in aggregate, approximately 21.4% of CVBF’s outstanding common stock following the merger. Upon completion of the merger, Community will operate as Citizens Business Bank and will continue to deliver the high-touch level of service that its customers expect, with an expanded branch and ATM network and a broad range of products and services, including expertise in personal, small business, private and corporate banking, as well as treasury management and trust services. The boards of directors of Community, CVBF and Citizens have approved the proposed merger. The closing of the merger is subject to customary regulatory approvals and the approval of CVBF and Community shareholders, and is anticipated to occur in the third quarter of 2018. 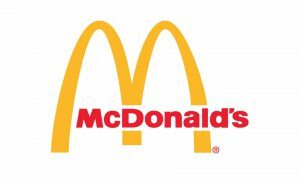 McDonald’s (MCD) announced an expanded commitment to families, supporting the company’s long-term global growth plan by leveraging its reach to impact children’s meals, access to reading, and keeping families together through Ronald McDonald House Charities. By 2022, McDonald’s will make improvements to the Happy Meal menu across 120 markets to offer more balanced meals, simplify ingredients, continue to be transparent with Happy Meal nutrition information, reinforce responsible marketing to children, and leverage innovative marketing to help impact the purchase of foods and beverages that contain recommended food groups in Happy Meals. Using rigorous nutrition criteria grounded in science and nutrition policy, by the end of 2022, at least 50 percent or more of the Happy Meals listed on menus (restaurant menu boards, primary ordering screen of kiosks and owned mobile ordering applications) in each market will meet McDonald’s new Global Happy Meal Nutrition Criteria of less than or equal to 600 calories; 10 percent of calories from saturated fat; 650mg sodium; and 10 percent of calories from added sugar. Currently, 28 percent of Happy Meal combinations offered on menu boards in 20 major markets meet these new nutrition criteria. To reach the goal of 50 percent or more, markets will add new menu offerings, reformulate or remove menu offerings from the Happy Meal section of the menu board. For example, last month McDonald’s Italy introduced a new Happy Meal entree called the “Junior Chicken,” a lean protein sandwich (grilled chicken). McDonald’s Australia is currently exploring new vegetable and lean protein options and McDonald’s France is looking at new vegetable offerings. As consumers’ tastes and preferences continue to evolve, markets will prioritize Happy Meals and simplify ingredients by removing artificial flavors, added colors from artificial sources, and reducing artificial preservatives where feasible. The company has made a continuous effort to meet consumers’ desire for easy access to nutrition information for menu items it serves with a goal of ensuring that nutrition information for Happy Meals is available and accessible through all McDonald’s owned websites and mobile apps used for ordering where they exist. Customers in the U.S. will see accelerated changes to the Happy Meal menu this year. In June 2018, 100 percent of the meal combinations offered on Happy Meal menu boards in the U.S. will be 600 calories or fewer, and 100 percent of those meal combinations will be compliant with the new nutrition criteria for added sugar, saturated fat, and 78 percent compliant with the new sodium criteria. Listing only the following entree choices: Hamburger, 4-piece and 6-piece Chicken McNuggets. The Cheeseburger will only be available at a customer’s request. Replacing the small French fries with kids-sized fries in the 6-piece Chicken McNugget meal, which decreases the calories and sodium in the fries serving by half. Reformulating chocolate milk to reduce the amount of added sugar. During this period, chocolate milk will no longer be listed on the Happy Meal menu, but will be available at a customer’s request. Later this year, bottled water will be added as a featured beverage choice on Happy Meal menu boards. In December 2017, McDonald’s USA completed the transition to Honest Kids Appley Ever After organic juice drink, which has 45 less calories and half the total sugar than the prior 100 percent apple juice served in the U.S. With these planned menu updates, there will be average reductions of 20 percent in calories, 50 percent in added sugars,13 percent in saturated fat and/or 17 percent in sodium, depending on the customer’s specific meal selection. These reductions reflect the average nutrition data of U.S. Happy Meal offerings on the menu last year compared to those planned for later this year. Already, several of the Happy Meal combinations available on U.S. menu boards today meet the new nutrition criteria and will not be changing. Granite Construction Incorporated (GVA) and Layne Christensen Company (LAYN) announced that they have entered into a definitive agreement whereby Granite will acquire all of the outstanding shares of Layne in a stock-for-stock transaction valued at $565 million, including the assumption of net debt. The transaction, which was unanimously approved by the Boards of Directors of both companies, is expected to close in the second quarter of 2018. 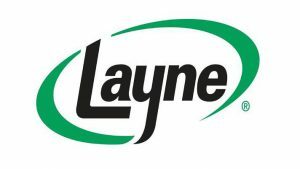 Under the terms of the agreement, Layne shareholders will receive a fixed exchange ratio of 0.270 Granite shares for each share of Layne common stock they own. This represents $17.00 per Layne share, or a premium of 33%, based on the volume-weighted average prices for Granite and Layne shares over the past 90 trading days. Following the close of the transaction, Layne shareholders will own approximately 12% of Granite shares on a fully diluted basis, and Granite’s Board will be expanded to include one additional director from Layne. The transaction represents an enterprise value multiple of 8.2x 2018 expected EBITDA. Granite expects to achieve approximately $20 million of annual run-rate cost savings by the third year following the close of the transaction, with approximately one-third realized in 2018. Granite expects to incur approximately $11 million in one-time costs to achieve these savings. The transaction is expected to be accretive to Granite’s adjusted earnings per share, and high single-digit accretive to Granite’s adjusted cash earnings per share in the first year after closing. Granite expects to assume outstanding Layne convertible debt with principal value of $170 million and honor the terms and existing maturity date provisions of the indentures. The transaction is not expected to trigger any change of control provisions under Layne’s indentures. Granite also expects to fund the cash financing requirements of the transaction of approximately $70 million through a combination of existing cash on hand and availability under Granite’s revolving credit facility. Following close, Granite will maintain an investment grade credit profile and significant financial flexibility. The transaction, which is expected to close in the second quarter of 2018, is subject to the satisfaction of customary closing conditions, including applicable regulatory approvals and the approval of the shareholders of Layne. Wynnefield Capital, which has an approximate 9% voting interest in Layne, has agreed to vote in favor of the transaction. In connection with the transaction, Granite will issue approximately 5.4 million shares of Granite common stock to Layne common stockholders. LAYN closed at $12.62. GVA closed at $60.08.